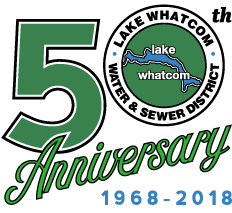 The District’s service area includes Geneva, Sudden Valley and the North Shore of Lake Whatcom. Customers are encouraged to attend meetings and share their views with the Commissioners on the second and last Wednesday of each month. View upcoming and archived meeting agendas, packets, and minutes here.